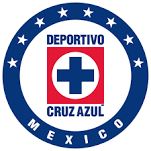 Cruz Azul Fútbol Club, A.C, or simply Cruz Azul is a Mexican football club that plays in the top division of Mexican football, Liga MX. Originally from Hidalgo in the town of Jasso, south of Tula de Allende, the club moved to Mexico City in 1971. Owner: Cooperativa La Cruz Azul S.C.L.